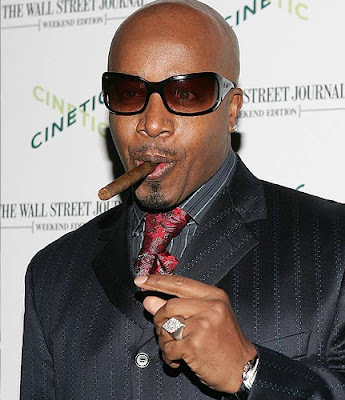 MC Hammer is planning to hurt us again with his 20th anniversary "companion album to his 1990 multiplatinum album "Please Hammer, Don't Hurt 'Em." One of my favorite albums by the way. That album spend 21 weeks at No. 1 on the Billboard 200 and sold ten million albums. "U Can't Touch This," "Have You Seen Her," and "Pray," were all hits for this album which helped launch Hammer into a worldwide superstardom in the 90's. Hammer calls the new set, "Don't Hurt 'Em," a "follow-up" that will "capture again the very essence and vibes of 'Please Hammer, Don't Hurt 'Em,' but updated with the sonic quality of today ... There'll be a lot of parallels between the two, but certainly it'll be very 2010." Hammer says he has more than 200 tracks he's been working on for various projects. Some will be considered for "Don't Hurt 'Em," but he predicts that "there's 20 more I'll record specific to 'Don't Hurt 'Em.'" Don't expect any featured guests, however. "Maybe on the remixes," he says, "but not on the album." Hammer plans to release another studio album, "DanceJamtheMusic," in September, as well as a Christmas album with his family before the end of the year. He's also working on an autobiography and is awaiting word on a second season of the "Hammertime" reality show for the A&E Network. For some reason I find myself being waayyyy more excited and happy about this than the whole "White Chicks" sequel fiasco.